The Corrugated Steel Tape Armoured cable is designed for external underground installations in ducts or by direct burial. Corrugated steel tape provides rodent protection and polyamide provides anti-termite protection. The armoured structure also provides additional compressive strength for the cable. 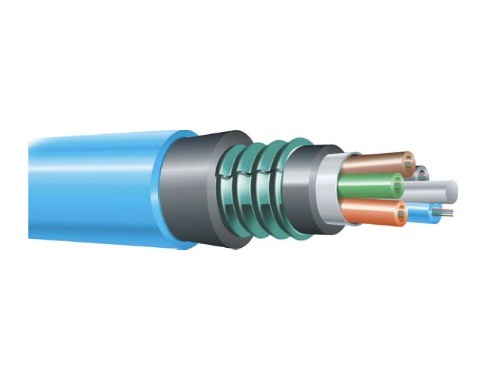 Use this type of optical cables when you want maximum crush resistance.